Learn more about this year’s featured companies and the Sept. 18 awards event. Kelsey Dunn, an administrative support specialist, helps direct clients’ technical support inquiries at Mindbody Online. 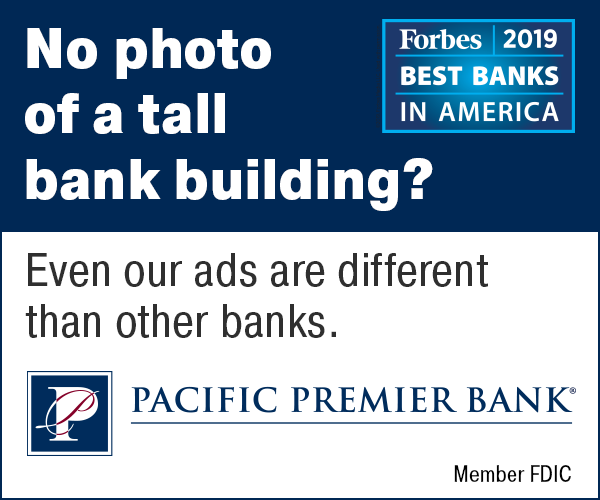 The firm has been named among the Business Times’ fast-growing companies six of the eight years the list has been compiled. The Pacific Coast Business Times’ annual ranking of the 50 fastest-growing firms in the region published Aug. 22. The section ranks companies in the Tri-Counties by three-year revenue growth, from 2011 to 2013, and includes both public and private firms. Our ranking has become increasingly selective as more and more companies post double-digit revenue gains. For this year’s list, we updated our rubric in attempt to capture a surge of companies in software, services and even construction that are expanding at a rapid clip. 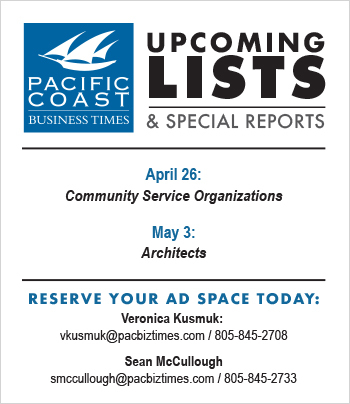 To receive a copy the section, including the full list of fastest-growing companies and profiles of the Editor’s Picks, please call (805) 560-6950. Subscribers received the special report in the Aug. 22 print issue. No. 1: FindTheBest. The Summerland-based Web research firm has built a platform that aims to help consumers find the best, well, anything. It’s a broad and fundamental challenge that would change how people shop online. The company leveraged its 70 billion data points on more than 700 million products across 2,000 categories to drive revenue growth at a soaring 10,298.5 percent rate since 2011. Revenue swelled from $65,000 in 2011 to $6.8 million in 2013. “When we first started it, it was very unclear what we were doing with these disparate data sets. It was like a jigsaw puzzle of the grand canyon full of holes. But once we started to fill in the holes, it was ‘Ah, that’s really beautiful,’ ” O’Connor said. No. 4: Hathway. Nestled in the hills of small-town San Luis Obispo, this startup digital media agency is crafting campaigns for some of the nation’s biggest brands, including industrial giant Applied Materials, paint supplier Behr, financial services firm Transamerica and the University of California system. The company, founded in 2009 by Cal Poly alumni Jesse Dundon and Kevin Rice, notched $4.2 million in revenue last year, a 394.7 percent increase since 2011. These days, Hathway focuses heavily on native app development and responsive Web design, but the firm is also gearing up for the so-called Internet of Things. No. 8: Ontraport. 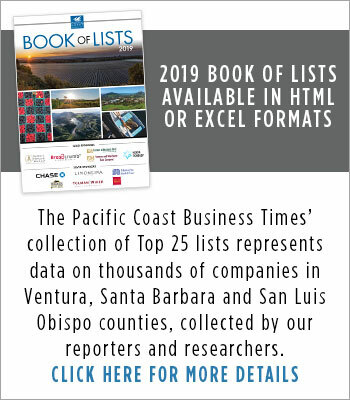 Over the last two years, the small-business online sales and technology marketing platform developer has more than doubled the number of employees at its Santa Barbara office to 107 and recorded revenues of $8.3 million in 2013, up from $4.7 million in 2012. 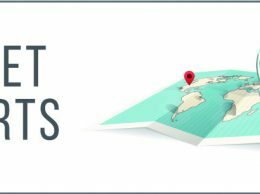 Lena Requist, chief operating officer at Ontraport, said smaller companies that are able to respond quickly with straightforward, easy-to-use tools are better positioned than other software products such as QuickBooks. “You’re just seeing a shift where the consumer wants an end product that is for the consumer, not just for the small business,” she said. No. 11: Mindbody. As it marches toward an initial public offering, the company is counting on its tremendous success over the last 14 years. The San Luis Obispo-based firm rolled out a corporate wellness platform earlier this year, and its business management software, designed for the health and wellness industries, is now used by 38,000 businesses in 100 countries. That trove of clients has helped Mindbody notch a 138.4 percent three-year growth rate with $48.3 million in revenue for 2013. No. 23 Interlink Electronics. Camarillo-based Interlink Electronics has been in business for nearly three decades, first as a maker of mouses and keyboards and later as a maker of touch pads. Since then, the company has been expanding its product lines and has for the first time ever expanded into the automotive industry, inking deals with customers such as parts maker Delphi and the fast-growing automaker Tesla. The result was 51.3 percent revenue growth between 2011 and 2013, with sales hopping from $5 million to $7.6 million. No. 27 Conversant. Earlier this year, the Westlake Village-based company changed its name from ValueClick to Conversant. The rebranding also meant a major shift in company strategy: It spent $30 million in cash and stock to acquire a new video business, SET Media, that added to other recent acquisitions Greystripe and Dotomi. Conversant shares have risen about 28 percent to the $26 range since the rebranding was announced in February. Between 2011 and 2013, the company’s revenue grew to $573 million, a 43 percent increase. No. 31 CIO Solutions. The IT services provider is inching its way to the $10 million revenue mark after falling off pace during the recession. With company-owned and operated private cloud computing infrastructure hosted in Las Vegas and investment in SAE 16 and Health Insurance Portability and Accountability Act compliance, President Eric Egolf said the company can compete for more accounts and attract better-educated buyers. “Rather than focus on the accuracy of other people’s crystal ball we have decided to ensure we have the suite of services needed to stay relevant with either outcome,” he said. No. 45 Mission Produce. Even with a disaster-level drought underway, Oxnard-based Mission Produce has seen a 22.6 percent increase in its revenue since 2011, solidifying the company’s position as a top player in California agriculture. In 2013, the company brought in $461.6 million — up from $376.6 million three years ago. Mission Produce had to deal with declining numbers of avocados, its main crop in California, but global production and consumption are up. Click here for more information on the Business Times’ upcoming special sections, including the Giving Guide, our annual handbook on charitable and volunteer activity in the Tri-Counties to be published Sept. 12.